As a mom I know how busy it can get during the days. There is a saying that could relate to this --- "There is never enough time in the day". I feel that this is true for many of us moms. There is always our planned out day plus all the other surprises that may come our way. Sometimes you may think, why did I even bother to plan out this day, when nothing seems to be going as planned. I often feel this way. That is what I love about being a mom though. I enjoy these unpredictable events that somehow tend to pop up out of nowhere. I didn't always feel this way. Up until about one year ago I applied so much pressure on myself. You see I was used to working outside the home for anywhere from 45 to 55 hours per week. I had no idea what it would be like to be a mom and stay home and care for little ones. So when I had my son just over 18 months ago I did exactly that. I became a stay at home mom. Well that was quite an adjustment for me. I felt as though since I was not outside the home and not contributing to the families finances that I had to prove myself and ensure that our home was always top notch. Oh who was I kidding anyway. I quickly learned that being a stay at home mom is a full time job on its own. Plus if I had to be out working there is the cost of childcare added. Now that we have a second child, childcare fees would be doubled for us. Anyway I have come to really love being at home with them and wouldn't trade it up for anything. Since I have a fairly busy day I have found some ways to save myself time and energy. 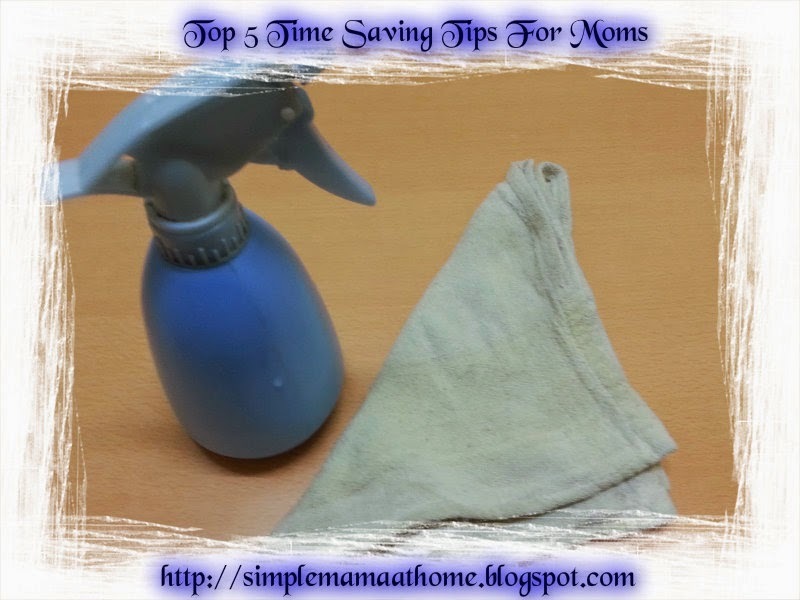 I hope these tips will help some other mamas out there. 1. Wake up a little earlier. Enjoy a cup of hot coffee/tea. At the same time check emails, blogging, and social media. This gives me my morning boost and helps motivate me for the day. For me, 30 minutes does the trick. 2. Two for one meals. When planning to bake a dish of food in the oven double it or make a different dish to be cooked at the same time. Keep one for dinner and freeze the second one for another time. My husband brought me these two large baking pans. They are the perfect size for large meals. Keep a small bag for children packed and ready near the exit at all times. 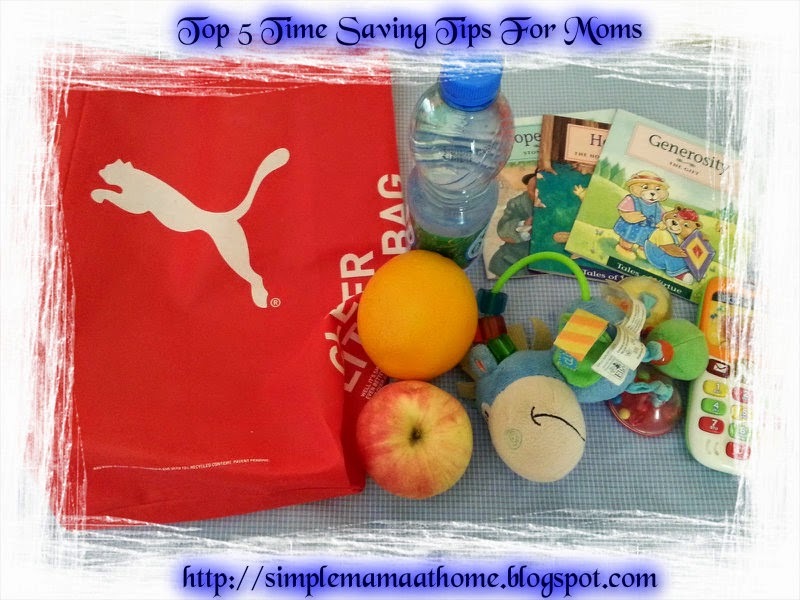 Some things to include are snacks, books, toys, and other essentials. 4. Have an ongoing shopping list. 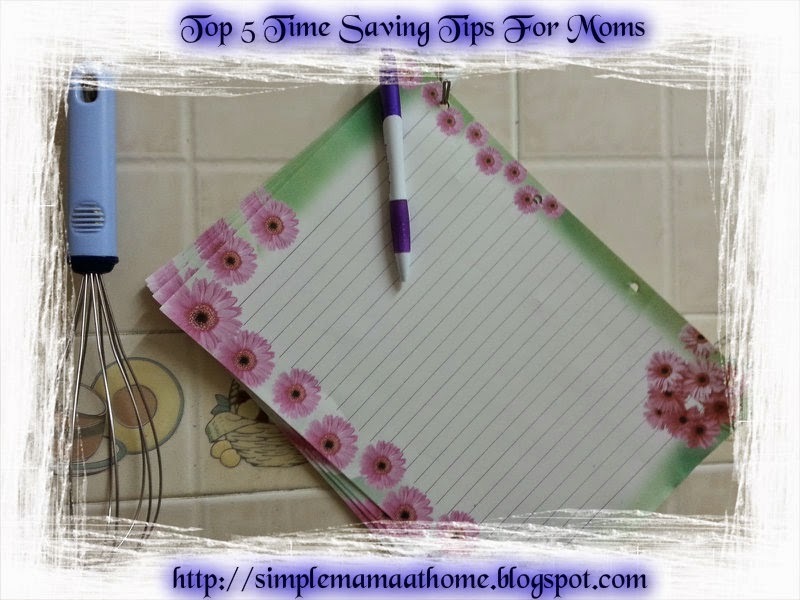 Keep a pad of paper either on the refrigerator door or somewhere handy and make write down items as you run out of them. I keep mine on a hook on the kitchen wall. How many times do we go about from room to room within our homes. For me it is quite often. So why not do a little cleaning on the way. 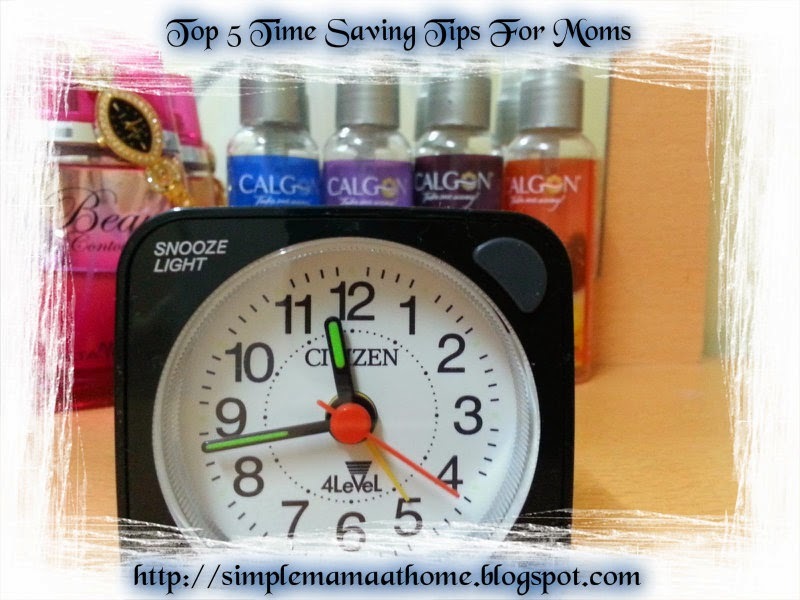 What time saving tips do you have to offer other moms? So very true!!! Today when I was cleaning the floor, my husband said...is it always this dirty or do you just clean it every day? Yup, I clean that darn floor everyday and when I don't, it looks like this!!!! I am with you because it is impossible to get everything you need to done in a day. I try to do as much as possible but sometimes you just need to sit down :) Great list!!! Clean as you go!! This really saves me time!! I hate it when there are huge messes! Excellent tips and glad to know someone else does what I do; especially that ongoing shopping list. It helps me stay on point and not waste time at the supermarket. Wonderful list of tips. I know I can't get going without first having a nice warm cup of coffee. Being home is full time work with few breaks. Happy New Year! 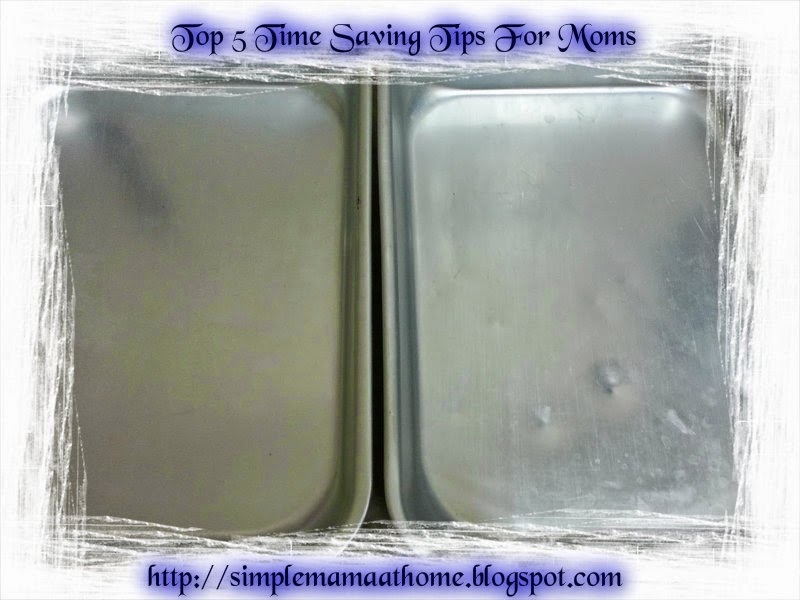 Love the doubling up on meals & I really need to work on the clean as you go tip! 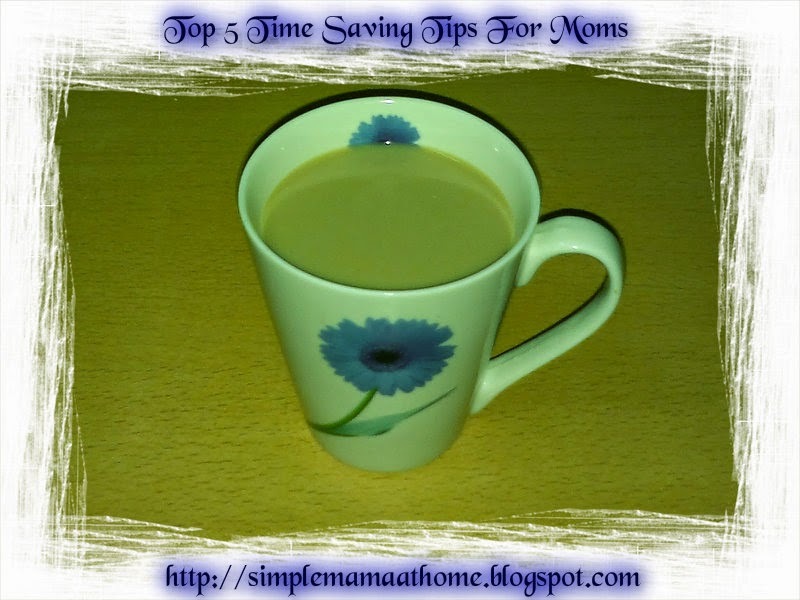 Thanks so much for linking up at Sharing Time- I will be keeping these in mind for sure!